DUBAI, U.A.E – 30 March 2011 – Reinforcing its commitment to rugby Emirates- the Worldwide Partner of the 2011 Rugby World Cup - has today signed a sponsorship agreement with the UAE Rugby Association (UAERA), becoming the Official Airline of the association and its National teams. The agreement will span five years and will see the Emirates logo proudly displayed on players’ shirts across the league, making its international debut on 23rd April when the UAE’s National team take on Sri Lanka in the 2011 Asian 5 Nations tournament. Emirates has been the driving force behind some of the UAE’s most popular rugby events, most notably the Emirates Airline Dubai Rugby Sevens that has been a resounding success since inception in 1987. Already popular with the UAE western expatriate community, rugby is also gaining a strong and loyal following from the local population, with a number of UAE National players currently part of the UAERA league. Emirates’ commitment to rugby will come to the fore this September as Worldwide Partner of the 2011 Rugby World Cup, to be held in New Zealand. The airline has rugby sponsorships around the globe including partnerships with the IRB (International Rugby Board), USA Rugby and the Rugby World Cup Sevens. Emirates is also the Official Sponsor of the UK’s Rugby Football League, Super League and the England Rugby League Team. Egypt’s leading malls are ‘Happy to Serve You Again’. CAIRO, EGYPT, 30 March 2011 – Both Maadi City Centre and Alexandria City Centre are again welcoming visitors – from 10am to 10pm daily – with an extensive range of shopping choices, from everyday necessities through to gifts, fashion and homeware. With the vast majority of its retail partners open to serve shoppers, Alexandria City Centre has drawn many of Egypt’s residents and families to its leisure and entertainment precinct, while Maadi City Centre is set to attract an array of eager shoppers to the mall’s 70% of opened stores, including Carrefour and popular local and international high-street brands. “Serving the needs of our communities for the long-term is the number one priority for Majid Al Futtaim Properties’ malls in Egypt, and our retail partners and staff are delighted to welcome shoppers to Maadi City Centre and Alexandria City Centre. Furthermore, we are ‘Happy to Serve You Again’,” proclaimed Dean John; General Manager for Leasing and Asset Management at Majid Al Futtaim Properties, Egypt. “Our goal is to continue to engage with the expansive range of customers who visit these destinations, while better understanding the choices they prefer – from everyday essentials through to family entertainment – to ensure that we remain a trusted partner and must-go destination in the coming months and years,” added Hisham Jaheen; Board Member of Majid Al Futtaim Properties ,Egypt. As two of the largest retail operations in Egypt, community relations also remains a top priority for Maadi City Centre and Alexandria City Centre, with both malls planning a range of social, family and health-focused events in the coming months to engage with shoppers and invigorate their senses. Shopping in Cairo had been transformed with the opening of Maadi City Centre ideally located on the Katameya highway. Maadi City Centre is home to 86 of the best local and international retailers and restaurants that are spread over 65,000 square metres, as well as a comprehensive Carrefour hypermarket. The state-of-the-art car park is the biggest free two-storey car park in Egypt and can accommodate 2,000 parking spaces. This perfect blend of shopping, dining and entertainment has made Maadi City Centre a popular and exciting destination. 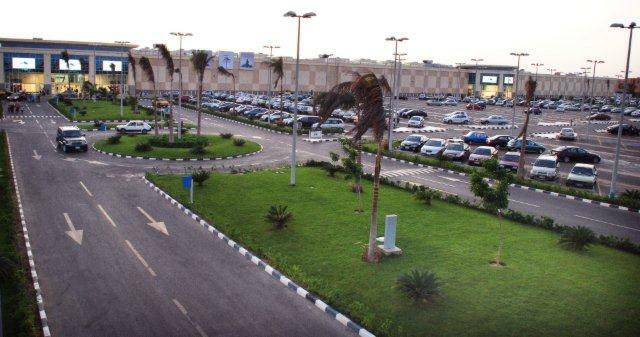 Suitably located on the Alexandria Cairo Desert Road, opposite to the Alexandria International Park, Alexandria City Centre is the only regional mall in the city. The landmark shopping destination opened in January 2003 to offer its customers a unique shopping, lifestyle and entertainment experience. The Centre completed a massive extension programme in late 2009 that has increased the total number of retail stores in the mall from 82 to 161, spread over a trading area of 60,454 square metres. With a wide selection of international and local fashion and lifestyle brands, a 14,771 square metre Carrefour Hypermarket, seven-screen renaissance cinema, an international food court and the popular family entertainment destination, Magic Planet, Alexandria City Centre is the biggest shopping mall in the city. It provides an international shopping experience to the residents and visitors of Alexandria. Majid Al Futtaim Properties is one of the region's most prominent property and shopping malls developer. Majid Al Futtaim Properties has changed the face of shopping, leisure and entertainment in the Middle East and North Africa (MENA). It currently owns and operates ten world-class shopping malls in the region with three of its flagship projects based in Dubai. Majid Al Futtaim Properties has earned numerous accolades and awards from international organisations that have recognised its leadership and the quality of its properties. Mall of the Emirates, the world’s first shopping resort, houses over 520 international retail brands including 60 luxury stores and a unique range of leisure attractions, anchored by the world-renowned Ski Dubai. Deira City Centre pioneered the concept of shopping and entertainment in the region. It has over 370 stores with an extensive array of mid-market popular brands, including leisure and entertainment facilities and over 50 restaurants and cafes. Mirdif City Centre, the latest regional shopping mall in the UAE by Majid Al Futtaim Properties, is home to 430 stores offering the best mix of retail, superior leisure and entertainment concepts that include iFLY Dubai - indoor skydiving centre and CineStar Cinemas and many more, and a host of delicious fine dining outlets. Abu Dhabi-UAE: 30 March, 2011 – The second Clean Energy Ministerial (CEM2), a high-level global forum promoting policies and programs to advance clean energy, will be held in Abu Dhabi 6-7 April, bringing together ministers from the world’s major economies. In cooperation with the United States, the United Arab Emirates will lead the dialogue amongst 21 governments – including ministers, business leaders and nongovernmental organizations – to progress initiatives that will accelerate the world’s transition to clean energy. Ministers at CEM2 will build upon 11 specific initiatives, with a focus on energy efficiency, clean energy supply and mobilizing smart public finance. The government officials will also collaborate with the private sector and other stakeholders from around the world in roundtables to engage in dialogue on clean energy issues including: regulatory strategies for utility-scale energy efficiency; innovative technologies for energy efficiency; renewable energy and energy access; and sustainable cities. The UAE is actively participating in four initiatives, which include the Clean Energy Education and Empowerment Women’s Initiative (C3E), the Clean Energy Solutions Center, the Carbon Capture Use and Storage Action Group, and the Multilateral Working Group on Wind and Solar Technologies. As part of the C3E Initiative, distinguished female leaders from around the world will discuss “The Role of Women in the Clean Energy Revolution” in an event hosted by the Masdar Institute. “The UAE’s contributions to initiatives like C3E – which will inspire and empower young women to become clean energy leaders – are creating tangible, real-life tools to support the nation’s long-term transition to a knowledge-based economy centered around sustainable energy solutions,” added Dr. Al Jaber. CEM2 comes to Abu Dhabi during an important week when the emirate is also hosting the historic First Assembly of the International Renewable Energy Agency (IRENA). IRENA is mandated by its members to promote the adoption of renewable energy worldwide. The United Arab Emirates has placed renewable energy and climate change high on its agenda, demonstrated through a variety of actions including the inception of the Masdar initiative, the Abu Dhabi green building code (Estidama), the World Future Energy Summit and the Zayed Future Energy Prize. “The UAE recognizes the unprecedented challenge the world faces in securing a sustainable future and it is because of this the nation’s leadership has made a long-term commitment to innovations, investments and collaboration to facilitate the worldwide transition to a clean energy-based future,” said Dr. Al Jaber. Governments participating in Clean Energy Ministerial initiatives include Australia, Brazil, Canada, China, Denmark, the European Commission, Finland, France, Germany, India, Indonesia, Italy, Japan, Korea, Mexico, Norway, Russia, South Africa, Spain, Sweden, the United Arab Emirates, the United Kingdom and the United States. The UAE Ministry of Foreign Affairs established its Directorate of Energy and Climate Change in 2010 to ensure that a coordinated effort, involving public and private stakeholders, takes place in the creation of a national climate change strategy and policy. The Directorate’s actions are done through the National Commission on Climate Change, and act as a key measure to UAE’s active engagement in all international dialogues on clean energy and climate change such as COP 16. R+T Middle East, the only dedicated trade show in the Middle East for roller shutters, doors/gates, windows and sun protection systems, is to be held from the 12th to 14th September 2011 at the Dubai International Convention and Exhibition Centre. Featuring the very best in cutting edge technology, innovations and trend setting designs for the entire Middle East region and beyond, the 2nd edition of R+T Middle East will take place at the same time, and in the same venue, as DOMOTEX Middle East - the only international trade show for carpets and floor coverings in the MENA region, now in its 6th year, bringing together two of the world's largest trade shows in their respective domains. Angela Schaschen, Managing Director of Deutsche Messe Dubai branch, which is organising the two shows, explained that R+T Middle East is an ideal launch pad for exhibitors seeking to gain advantage in a region where the construction industry is re-gathering momentum following the global slowdown. “Last year, over 80% of visitors to the show had a confirmed order placing or buying agenda, while also using the show to source new products and innovations. Large projects currently ongoing in the region or in the final stages of planning, are setting global standards in design, aesthetics and the use of environmentally friendly products attracting worldwide attention from companies and professionals alike. Roller shutters, doors/gates, windows, sun-protection and access control systems are crucial components of any construction project,” she said. R+T Middle East is the only vertical show of its kind in the region which provides fast track access and direct interaction with professionals from the entire region, facilitates new business with key industry segments and high profile individuals from a broad cross section of construction-related industries, provides business-to-business opportunities with visitors with high volume purchasing capacity, while also offering networking facilities for visitors and exhibitors. In the show’s first edition, three in every five visitors were looking for new suppliers, while three in every ten were meeting current suppliers and looking out for the latest trends and developments. As we see rising confidence coming to the market, current indicators point towards a recovering, positive and steady construction sector in the GCC, with Saudi Arabia and Qatar forecast to witness the most favorable growth patterns. The driving force behind this growth will be considerable funding towards infrastructure projects that include health, energy, housing, public transportation, railway systems, tourism and leisure projects. In Saudi Arabia the value of projects planned or under way is US$ 578bn and the UAE’s projects are even higher, at US$ 916bn. For Abu Dhabi, the federal capital of the UAE, over US$ 275bn is already scheduled for the next five years whilst Qatar has over US$10bn of strategic infrastructural development planned for the near future. Projects in Oman and Kuwait, meanwhile, are projected at US$ 93bn and US$ 60bn respectively. Schaschen pointed out that there are currently untapped revenue opportunities of US$30 billion in ancillary revenues for developers in the MENA region, of which an additional US$8-12 billion are in Saudi Arabia and Qatar, which is substantially estimated to see its construction industry grow by 12 per cent over the next four years. In Saudi Arabia alone, plans include building 600 new factories and schools and some 600,000 new homes, with many more projects in the pipeline. Additionally it is estimated that Qatar will invest around US$60 billion to US$70 billion in hotel, leisure, tourism, sports, recreational and infrastructure projects as it prepares to host the FIFA World Cup in 2022. $3 billion-worth of contracts on road and infrastructure contracts over the next 12 months is due to be announced shortly. The city is due for completion in 2019 and will include manmade islands, an entertainment area, an office park for energy companies, a golf course and five stadiums. “Truly, with the remarkable range of business opportunities now available in the MENA region, there has never been a better time either to exhibit, or attend, R+T Middle East,” Angela Schaschen concluded. R+T Middle East is organised by Messe Stuttgart in cooperation with Deutsche Messe Dubai Branch and under the technical and conceptual sponsorship of the Federal Association for Manufacturers of Roller shutters and Sun protection (Bundesverband Rollladen + Sonnenschutz e.V.) and the National Federation of Door and Gate Manufacturers (BVT - Verband Tore). Further information on the show can be found at www.rt-middle-east.com. As the leading global trade fair of its kind, German-based R+T, organised by Messe Stuttgart, is the internationally renowned name in roller shutters, doors/gates and sun protection exhibitions with shows in three prominent construction material markets: R+T Stuttgart in Germany, the leading global trade fair of its kind; R+T Asia in Shanghai, China, which focuses on Asian and Chinese markets; and R+T Middle East in Dubai, which caters to MENA markets. Dominating the European continent, few natural milestones have fascinated generations like the imposing Mont Blanc. Since the brand was founded over a century ago, Montblanc has been associated with Europe’s highest summit, using the mystical mountain’s name as its own. The six glaciers and peak of the majestic mountain or “Montblanc star” has become the brand’s logo and is widely recognized as a symbol of Montblanc’s commitment to excellence, exclusivity, enduring quality. Montblanc is now honoring Europe’s most impressive peak with the introduction of the “Tribute to Mont Blanc” Collection which not only features a unique interpretation of the iconic Meisterstück Writing Instrument in snow white but a selection of jewellery and leather pieces for both men and women. Celebrating the natural beauty of the Mont Blanc, the collection has been crafted using different stones and materials, reflecting the snow, ice and rocky surfaces that make up Europe’s snowy summit. Every design detail and the intricate craftsmanship of each piece will reflect the spirit and magnitude of the Mont Blanc. Because Montblanc believes in the importance of preserving the natural beauty of this mountain region for future generations, the sale of the ‘’Tribute to the Mont Blanc’’ Collection will support projects and organizations that work toward the protection and maintenance of the iconic Mont Blanc range. Meisterstück Tribute to the Mont Blanc While the ergonomic shape of the original design has been maintained, the Meisterstück Tribute to the Mont Blanc has been masterfully and dramatically transformed from its distinctive black to a pure white lacquer paying tribute to the snow of the mountain: White for eternity. Furthermore, the Montblanc emblem at the top of the cap has been crafted from snow crystal to reflect the glaciers of the Montblanc Massif and its eternal ice. The platinum plated forefront of the writing instrument has been delicately engraved with the impressive panorama of the Montblanc Massif, with each peak named. the ladies’ purse, men’s wallet and pen case have all been lined with jacquard leather to complete the luxurious look and feel of these pieces. Without a doubt, the radiant white colour of the leather makes a clear statement and contrasts sharply with the black leather used in the traditional Meisterstück collections. designed to embody the bold presence of the Mont Blanc while using finer details to capture the mountain’s mystical side. Like the formidable peak, Montblanc has a meaningful story to tell. The different materials used convey the beauty of the Mont Blanc. For women’s pieces: milky quartz like the snow-covered summit of the glacier, vibrant blue lace agate like the sky above, translucent rose quartz like the blossoming of Alpine roses. For men’s collections: stainless steel or platinum featuring intriguing dome-shaped hard stones in either black onyx or white opaque howlite, adorned with a 0.06ct Montblanc Diamond on each peak. With this unusual combination, Montblanc marries the boldness of mountain stone with the luxury of fine diamonds. The Collection marries classic design with a contemporary twist. Just like the Mont Blanc – an unpredictable force, these pieces reflect the aesthetics of the mountain: they are bold and strong but will surprise with their unconventional details. 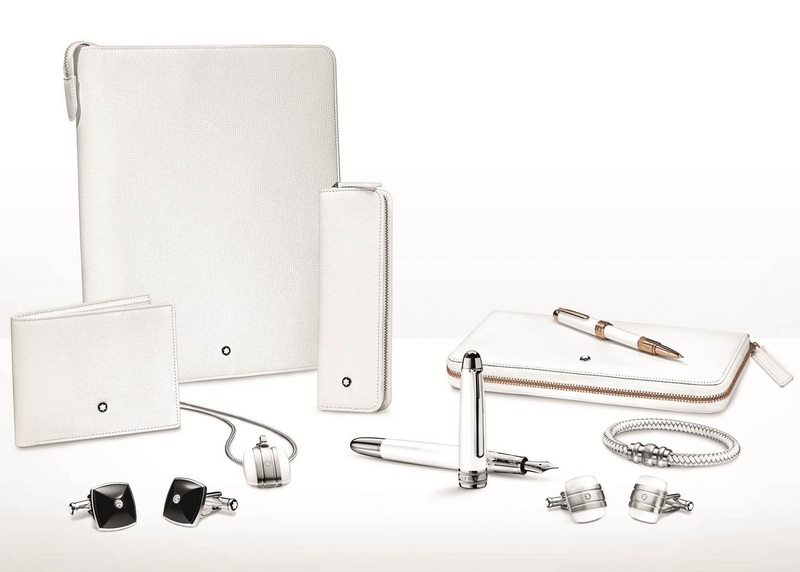 The Montblanc ‘’Tribute to the Mont Blanc’’ Collection will be available in Montblanc boutiques worldwide in June 2011. Dubai, UAE, March 27, 2010 – SunGard Higher Education announced today the availability of its new Talent Management Suite, a fully integrated solution for managing learning, performance and succession planning across a higher education institution. Delivered as a Software-as-a-Service (SaaS) solution, it is designed to be easy to deploy and maintain. The Talent Management Suite is a key component of SunGard Higher Education’s Human Capital Management offerings, which includes Banner Human Resources. Having the right people with the right skills, in the right roles, and at the right time can have a serious impact on an institution’s performance. Delivering on this strategic need can be a challenge for leaders in higher education. As institutions begin to lose baby boomers to retirement and institutional costs continue to increase, a new set of demands have been placed on higher education leadership to effectively manage talent across the institution. The SunGard Higher Education Talent Management Suite can help institutions identify key performers on campus to help improve an institution’s ability to retain and grow intellectual capital and to manage and grow the organization. The Talent Management Suite is available as a full suite or as modularized components in the cloud, to give institutions more flexibility to shape how technology meets their evolving needs. It is another example of SunGard Higher Education delivering on its Open Digital Campus vision and technology strategy. About SunGard Higher Education SunGard Higher Education serves colleges, universities and foundations in 40 countries worldwide. Through its Open Digital Campus strategy, SunGard collaborates with the higher education community and provides software and services to help institutions find better ways to teach, learn, manage and connect. To learn more, please visitwww.sungardhe.com. SunGard is one of the world’s leading software and technology services companies. SunGard has more than 20,000 employees and serves 25,000 customers in 70 countries. SunGard provides software and processing solutions for financial services, higher education and the public sector. SunGard also provides disaster recovery services, managed IT services, information availability consulting services and business continuity management software. With annual revenue about $5 billion, SunGard is ranked 380 on the Fortune 500 and is the largest privately held business software and IT services company. Look for us wherever the mission is critical. For more information, please visit www.sungard.com. Trademark information: SunGard, the SunGard logo, Banner, and Open Digital Campus are trademarks or registered trademarks of SunGard Data Systems Inc. or its subsidiaries in the U.S. and other countries. All other trade names are trademarks or registered trademarks of their respective holders. Citizen Watch Company, which is renowned for “the fusion of Technology and Beauty”, has been innovating with futuristic environment-friendly concepts such as Eco-Drive that constantly keeps running anytime and anywhere as long as there is light. Citizen Watches Super Titanium is the latest generation of a material with low weight and exceptional resistance already being used in many industries. For other watchmakers, transforming titanium with techniques used by NASA might seem extravagant. At Citizen, it’s expected. 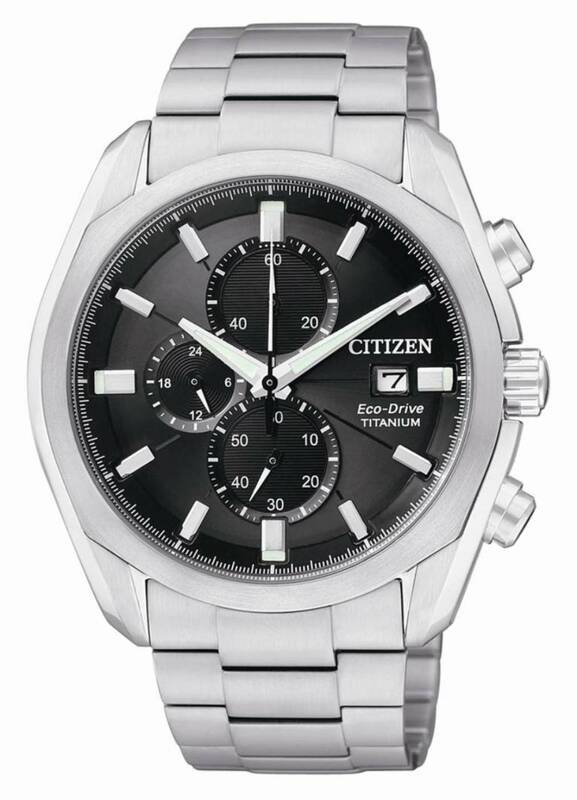 Citizen, the makers of the world’s first titanium watch brings you Super Titanium Watches. The Super Titanium watches are characterised by exceptional design with quality materials and advanced technology. A development period of two years speaks for itself! The Citizen team has created a collection that comprises top-grade materials, combines advanced technology and superior design at a reasonable and yet affordable price. Twenty years ago, Lexmark International, Inc. (NYSE: LXK) was founded as a spin-out of IBM, and its employees outlined an ambitious goal to become a dynamic, global technology company with a vision of customers for life. Beginning today and throughout much of the week ahead, Lexmark employees around the world are commemorating the company’s birthday and reflecting on Lexmark’s transformation into a global technology leader, made possible by the innovation it has contributed to the printing and imaging market over the past 20 years. To observe this milestone in the company’s history, Lexmark has planned a two-day celebration event at its corporate headquarters for employees, retirees and their family members. Many of Lexmark’s sites outside the U.S. have also organized employee festivities this week. Also in recognition of Lexmark’s anniversary, company employees have committed to 20 years worth – or 175,200 hours – of volunteer service in 2011. Lexmark International, Inc. (NYSE: LXK) provides businesses of all sizes with a broad range of printing and imaging products, software, solutions and services that help customers to print less and save more. Perceptive Software, a stand-alone software business within Lexmark, is a leading provider of enterprise content management software that helps organizations easily manage the entire lifecycle of their documents and content, simplifying their business processes, and fueling greater operational efficiency. In 2010, Lexmark sold products in more than 170 countries and reported more than $4 billion in revenue. To learn more about Lexmark, please visit www.lexmark.com. For more information on Perceptive Software, please visit www.perceptivesoftware.com. 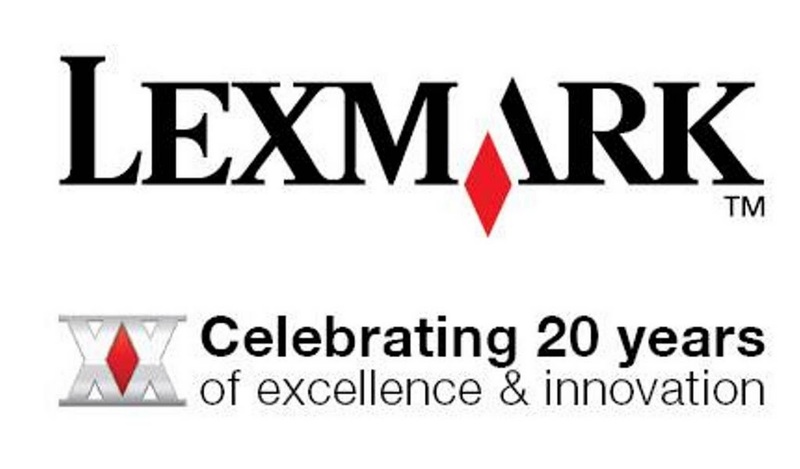 For more information on Lexmark, see the Lexmark Facebook page and follow us on Twitter. For more information about Perceptive Software, please visit the company’s Facebook and Twitter profiles. For over a century, SAINT HONORE has been synonymous with the world-famous “Paris Style”, and has created collections of unrivalled design. From Paris to New York, and Tokyo to Dubai, the brand’s exceptional watch making expertise exerts an irresistible attraction on those who love contemporary pieces. With “Swiss made” quality, a unique spirit, high-status materials and bold finishes. In the pave-set version, 25 diamonds are setted on the steel clip that unites the case and the upper glass in a style that is, of course, very elegant and feminine. For the dials, the choice is between mother of pearl versions with large Arabic figures and elegant versions with Roman figures. The beautiful Charisma, both intriguing and sophisticated, is made even more lovely by a special type of leather strap which is in contrast with the purity of its lines. 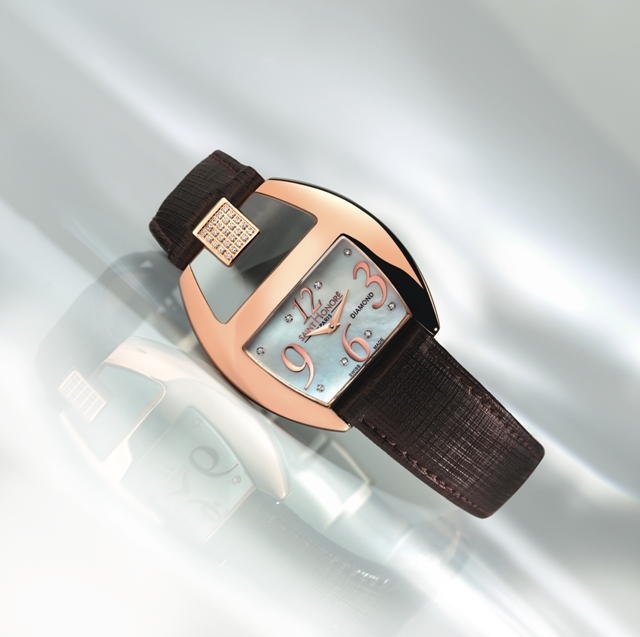 Definitely, a watch to be noticed! Dubai, 29 March 2011: Amana Capital, a leading Forex Trading company based in Lebanon, marked its entrance to the regional trading marketplace by poising as the Silver Sponsor of the 8th Middle East Forex Trading Expo and Conference, held on the 8th and 9th of April 2011, in Dubai. After officially launching in Lebanon in September 2010, Amana Capital has achieved outstanding results in the local market, which jumpstarted the company’s ambition to penetrate the regional market through one of its most prominent financial gates. However, what mostly encouraged Amana Capital to expand its reach to the region was that almost 50% of Amana Capital’s business has been generated from outside Lebanon during the past months. In addition, Amana Capital’s leadership team, with over 50 years of combined experience in prominent regional and global financial institutions, has been able to apply best international and regional practices in servicing its MENA client base. Believing in its regional potential, the company even adopted a corporate vision stipulating its positioning as a regional player in the Forex industry by providing a real competitive edge through a trustworthy and professional trading platform. Unlike other European and American Forex Trading companies in the region, Amana Capital has its headquarters strongly rooted in the Middle East and primary focus on MENA customers. This undoubtedly empowered the company with a better understanding of the regional customers’ mind set and financial needs while better knowing how to assist them and paying attention to their needs. Indeed, Amana Capital’s focus is on providing the best user experience through offering a service that is adapted to regional and local needs and considerations. The company’s range of customized services include local customer service and dealing room, local wire transfer with fast deposit and withdrawal possibilities in addition to credit card funding options. Yet, Amana Capital’s competitive edge does not stop here. Regulated by the highly renowned Central Bank of Lebanon, the company’s management and highly qualified team are committed to providing current and potential investors with an outstanding trading experience that fits their specific needs wherever they are in the Middle East. trading application where customers will have the additional option of trading via the web rather than through the current desktop solution. The company has also introduced new products including European indices (CAC 40, DAX, FTSE, etc) and single equity CFDS on large cap US companies (GE, Procter & Gamble, Microsoft, etc). Amana Capital caters to clients from the Middle East interested in trading forex‚ commodities‚ and indices. Clients will benefit from Amana Capital’s focus on providing the best user experience through offering a service that is adapted to regional and local needs and considerations. The range of customized services include local customer service & dealing room‚ local wire transfer with fast deposit and withdrawal possibilities in addition to credit card funding options. Amana Capital’s leadership team has over 50 years of combined experience in prominent regional and global financial institutions that enable it to apply best international and regional practices in servicing its client base. Amana Capital is regulated by the Central Bank of Lebanon. This 8th edition of ME Forex Expo & Conference will once again bring together in Dubai International Brokers and traders to discuss and explore latest platforms, offers, services, trading strategies, risks, opportunities, technical studies, analysis, market behavior, trends and many other topics. The two day event aims to stimulate business, foster education among professionals and beginners and raise the level of awareness of active, information-seeking institutional and retail investors. The event will cover trading in Forex, Gold, Oil, CFD's, Commodities, Futures, ETF's, Derivatives through cutting edge presentations, panel discussions and breakout networking sessions. The exclusive and exquisite “King George” bracelet line, brought out by French cutting-edge luxury jewellery manufacturer Akillis, holds a special place in the heart of CEO Caroline Gaspard. The trend-setting designer of fine jewellery that looks firmly into the future has dedicated the entire range to her beloved father. Caroline Gaspard got the idea for the line of flat-link bracelets when she was looking for a bracelet to match her father’s watch. This inspired the master designer to come up with “King George” range in 18 karat gold and titanium, encrusted with diamonds. Family has an important place in the heart of our young designer, and so she did not hesitate to name her very first range “King George” after her father’s name. For Caroline Gaspard, every person is unique and deserves to wear the perfect jewel. Not your everyday jewellery designer, Caroline Gaspard is an avant garde designer whose trend-setting creations have attracted avid followers from Russia to France and other parts of the world. Akillis is now set to conquer the Middle East with the recent launch of her jewellery range in the region. Akillis has its showroom situated in prestigious rue Cambon, Paris with select distributors across the world stocking its products. Akillis recently announced plans to expand its distribution network throughout the Middle East and India through opening of boutiques, appointment of franchise partners, shop in shops and retail corners across the region as part of its first phase of expansion. Leading Middle East trade fair and event organiser Epoc Messe Frankfurt has announced a major expansion in its regional presence. The Middle East subsidiary of The Messe Frankfurt Group, Germany, has been operating in Dubai since 2002. Epoc Messe Frankfurt has expanded its offices and hired more personnel in response to the surge in demand for high-quality and focused trade shows in the GCC and the wider Middle East. During 2010 Epoc Messe Frankfurt acquired more office space and hired highly qualified trade show specialists posting a 25% increase in staff strength as part of its endeavours to set up a sales partner network in the region. With this expansion the company is now responsible for all outward sales across the GCC for all Messe Frankfurt shows worldwide. “We are dedicated to providing our regional customers with industry-best service, quality and the best networking platforms in the exhibition business across a variety of industry segments," remarked Mr Pauwels. "The fact that we are able to expand despite an increasingly difficult economy and the extremely competitive landscape of the exhibition industry is a testimony to our customer-first business philosophy. We look forward to building on this momentum, and expanding our offerings in 2011 and beyond,” he stressed. Epoc Messe Frankfurt organises 9 focused trade shows in Dubai designed specifically for the Middle East market. Considered as some of the best organised and representative trade events in their field, shows organised by Epoc Messe Frankfurt include: Automechanika Middle East, Intersec trade fair and conference, Beautyworld Middle East, Hardware+Tools Middle East, Garden + Landscaping Middle East, Light Middle East, Paperworld Middle East, Playworld Middle East and Materials Handling Middle East. Messe Frankfurt is one of the world’s largest trade fair organisers, with 450 million Euros in sales in 2010 and more than 1,770 employees worldwide. The Messe Frankfurt Group has a global network of 28 subsidiaries, five branch offices and 52 international Sales Partners, giving it a presence for its customers in more than 150 countries. In 2010 Messe Frankfurt organised 88 trade fairs, of which more than half took place outside Germany. EPOC Messe Frankfurt GmbH is a subsidiary of Messe Frankfurt, Germany’s leading trade fair organiser. With 450 million Euros in sales in 2010* and more than 1,770 employees worldwide, Messe Frankfurt brings 800 years of experience to Dubai, the strategic hub for the region. The Messe Frankfurt Group has a global network of 28 subsidiaries, five branch offices and 52 international Sales Partners giving it a presence for its customers in more than 150 countries. The successful portfolio of events of Epoc Messe Frankfurt GmbH in Dubai includes: Intersec trade fair and conference, Materials Handling Middle East, Hardware+Tools Middle East, Garden+Landscaping Middle East, Light Middle East, Beautyworld Middle East, Automechanika Middle East, and now also Paperworld Middle East and Playworld Middle East.